Are you a student eager to learn more about Artificial Intelligence (AI) or are you a professional looking for informative videos in your area of interest? Whoever you are, be assured that not just enthusiasts and practitioners, but also the inquisitive user whose expertise is limited to Sci-fi is interested in AI now. Be it films, books, music or theatre, our over-active imaginations have always been haunted by a dystopian future of the society. Our collection of TED talks from all over the world will help you understand the nuances of AI in simple terms, and highlight the fact that AI is after all a product of the human mind. 2. Neuroscientist and philosopher Sam Harris asks one of the most important questions about AI that worries all of us: Can we build AI without losing control over it? 3. Do you think that AI is the next natural step from human evolution? In this TED talk, futurist Ray Kurzweil suggests that we should get ready for the next big leap in brain power as we tap into the computing power in the cloud. 4. How is AI related to art? Computer vision expert Fei-Fei Li talks draws parallel about teaching children to recognise pictures, to that of feeding computers and AI with a variety of images. 5. What happens when we teach a computer how to learn? Technologist Jeremy Howard shares some surprising new developments in the fast-moving field of deep learning, a technique that can give computers the ability to learn Chinese, or to recognize objects in photos, or to help think through a medical diagnosis. 6. 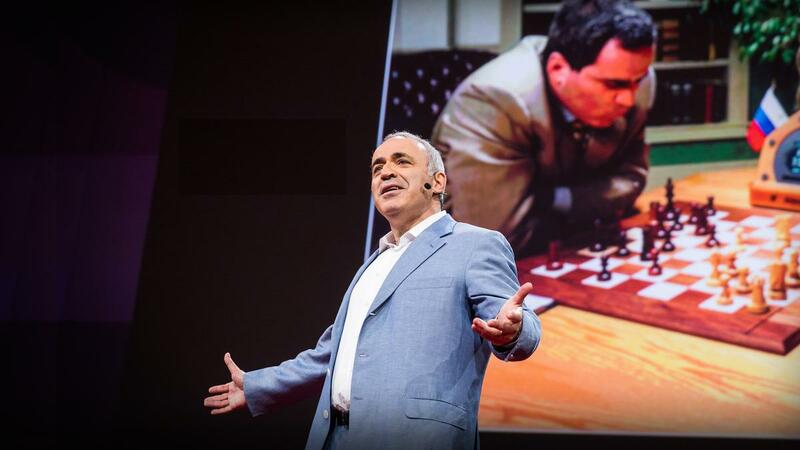 We must face our fears if we want to get the most out of technology — and we must conquer those fears if we want to get the best out of humanity, says the great chess player Garry Kasparov. Even though he lost a memorable match to IBM supercomputer Deep Blue in 1997, he now shares his vision for a future where intelligent machines help us turn our dreams into reality. 7. Most of us are worried about the future, where all jobs are taken over by the machines. But David Autor the professor of Economics and Associate Head of the MIT Department of Economics tries to explain this paradox. 8. How would a man, who has never been beaten in the game of Jeopardy feel when he has been beaten by a supercomputer? In this fun talk, trivia whiz Ken Jennings says that how “good old fashioned” human knowledge is the key to success. 9. And finally, to address all the doomsday theories about robots taking over the world, AI pioneer Stuart Russell is working on three principles that will help us create safer AI.